As an exotic fruit drink fresh from the Caribbean, what wasn’t there to love about KA? Nothing at all. But as is often the case with cool things, its appeal was limited to insiders and in-the-know Londoners. For the time being. AG Barr thought the time was right for KA to break out into the mainstream. To give it main stage positioning in-store, and get it on the listings of more major retailers. But first, KA would need to get on their radar by gathering attention and creating hype around the brand. "Subcultures can come to define and popularise brands– just think punk and Doc Martens." Its Caribbean roots made music the most natural connection. The region’s rhymes, rhythms and culture had been making waves in the UK since the heyday of reggae. It also influenced and inspired many young artists afterward, helping them to find their voice. We tuned into what was on our audience’s headphones and in their lives, and what was on its way to becoming the next phenomenon. All the while, we made sure it shared KA’s spirit – colourful, daring and young. We found our answer in the raw energy of grime and other associated genres. "Celebrating the British urban music scene and championing its rise." 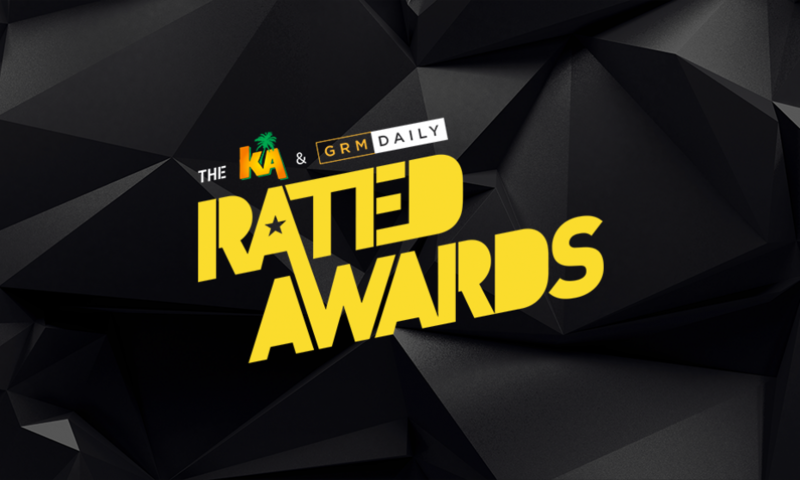 As for the how, we decided to show KA’s support by developing the Rated Awards – the first of its kind in British urban music. In addition to giving artists a digital platform to showcase their talents, we would let the fans become part of it as well. Work on the campaign covered many areas, starting from the top and going all the way to the grand finale. That covered identity design, development of digital content for the competition and audience interaction. To make a splash, the awards would need to have its own look and feel. That’s why we started with designing and creating assets that stood out and would help us launch the event with a blast. To make the connection to the brand clear, we added touches from the KA brand itself. We developed and managed all of KA’s social media content and assets for the awards, and MC’ed for (a.k.a., community managed) the brand’s Twitter and Instagram accounts. 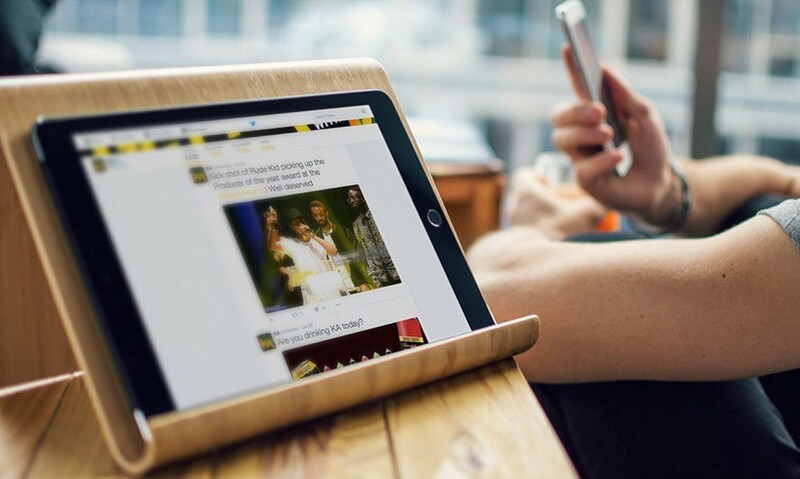 We tailored posts and responses to the stage, such as promoting artists in the nominations, and responding to feedback during the live stream of the final event. 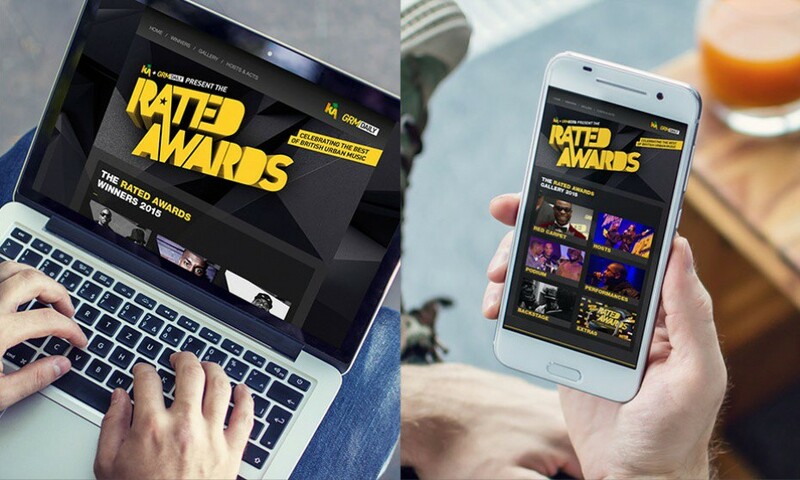 We developed a microsite dedicated to the Rated Awards, where users could find details about the event, videos of the performers, and where they could vote for their favourites. 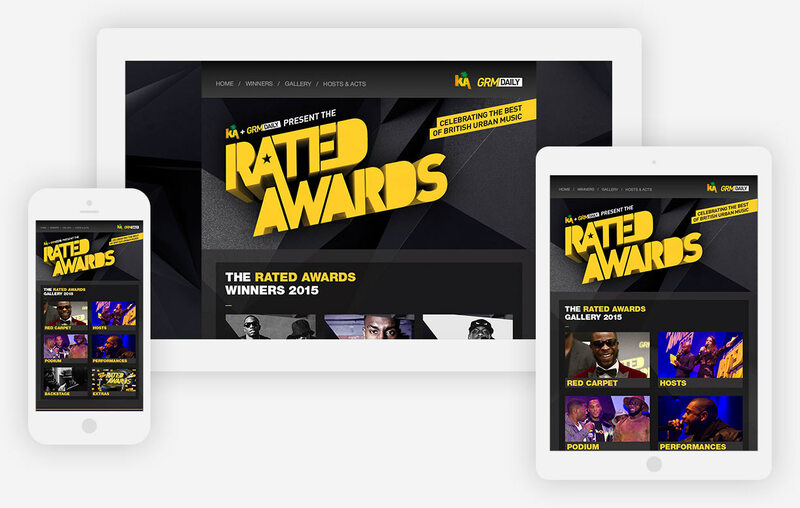 The site was accessible from both KA’s own website and GRM Daily, the UK’s go-to for urban music, and our partners in the Rated Awards. That way, we were able to combine the audiences and strengthen the ties between music and brand. Strategically placed banners on the KA site also helped guide people to the microsite. These historic awards obviously struck a chord with the audience. Not only were we getting great feedback from the industry, but also lots of love from the fans – to the tune of 37,013 votes for the nominees. 25,000 people watched legends like Tim Westwood, Charlie Sloth and Kano on the livestream. Last but not least, #ratedawards hit no. 1 on the trending topics on Twitter in the UK!